You know how they say that some of the world’s best discoveries have come about through accidents? Well, I wouldn’t quite equate this with turning moldy bread into penicillin, but it was a pretty lucky- and awesome- discovery. It started on a day like today, when it felt like it was a million degrees outside, but in actuality, it was only about a hundred. Either way, it was the kind of day that makes you want a tall glass filled with ice- and some refreshing drink poured over it. I walked into the house, grabbed a glass, and discovered that there was no ice in the freezer. Oh, the horror. After searching the freezer and determining that there were, indeed, no ice cubes, I started to look for an alternative. My eyes fell on a bag of frozen strawberries. “Why not?” I thought to myself. So I made a pitcher of lemonade and dumped the frozen strawberries inside. I’m pretty sure that at the time I made this drink for the first time, I never imagined that it would become a favorite of mine. I also don’t think that I really thought through exactly what would happen when the drink came together. But here’s what happened. 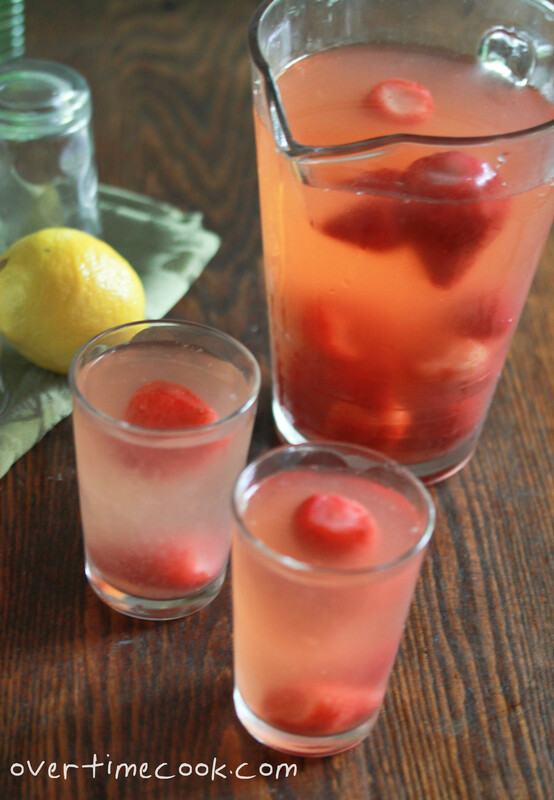 The strawberries defrost, they dissolve slightly into the lemonade, giving off both the flavor and color. And of course, they cool the lemonade down, as I had originally anticipated. This is fresh, delicious, refreshing, and screams summer. Also- totally easy to make. What more could you ask for? Pour the frozen strawberries into the pitcher. 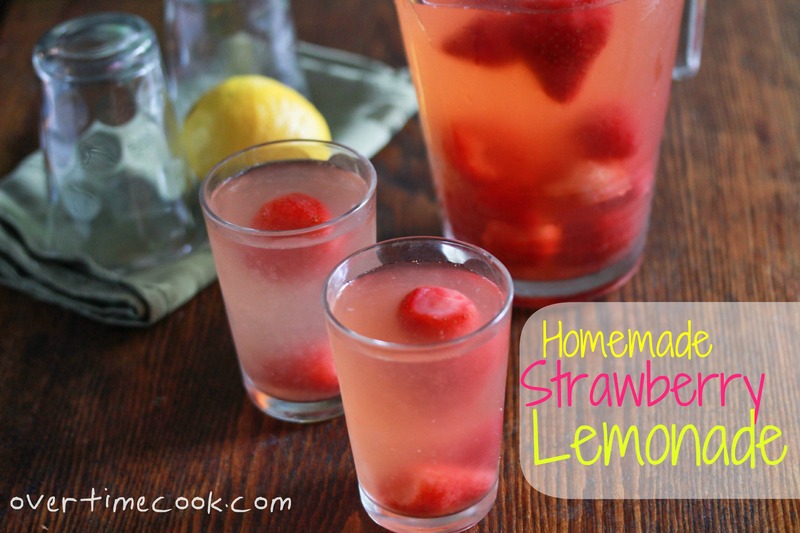 Leave the lemonade to sit for about 10 minutes before serving. *Note: you can use strawberries straight from the freezer bag, or cut the tops of your fresh strawberries and freeze them until you are ready to use them. Now that’s thinking outside the box! I don’t like strawberries, but I love this idea. 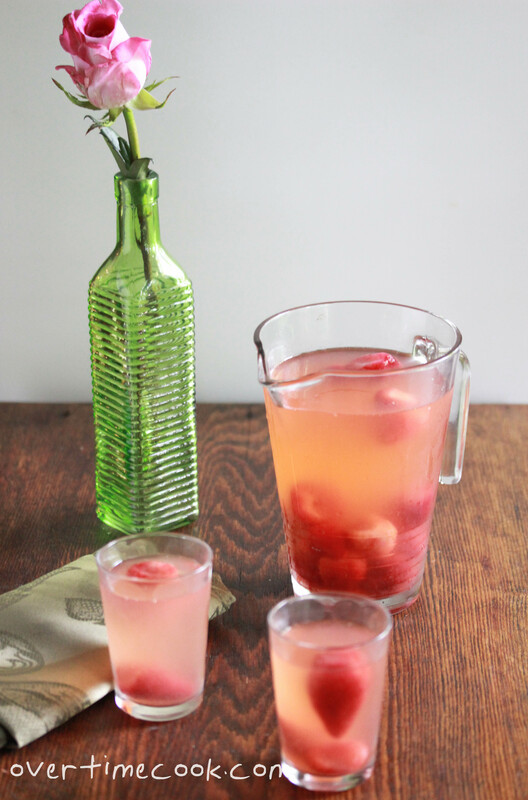 Oh my gosh, this looks so refreshing and what a wonderful way to use frozen strawberries in a drink. As a child, my mom used to defrost a box of frozen strawberries for me and I would just eat it with a spoon! This sounds absolutely delicious. This must have a great taste! I had strawberry lemonade this summer but made with strawberry tea. It was delicious and I’m sure this wonderful drink of yours was just as refreshing. Great idea!